The ninjas and the samurai have a pending account and in this game we are going to help the samurai to win. 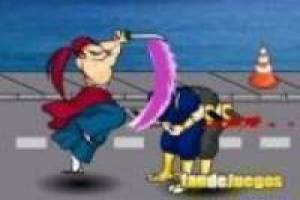 You will have to use your samurai warrior to defeat the ninjas that stand in your way. You must use the A, S, W and D keys to move, while the J and L keys will help you attack. 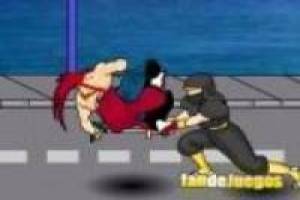 The ninjas will throw things at you but you can dodge them or jump them using the K key. You have to survive as long as possible to win and prove that your warriors are much better than the famous ninjas. Use your sword, create combos of blows and weaken all the rivals that you find to be able to continue advancing in the game. Show your samurai fighting skills with this fun game. 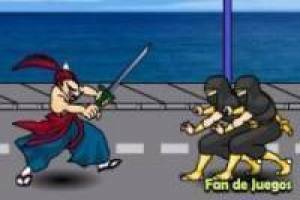 Enjoy the game Ninjas vs samurai, it's free, it's one of our ninjas games we've selected.